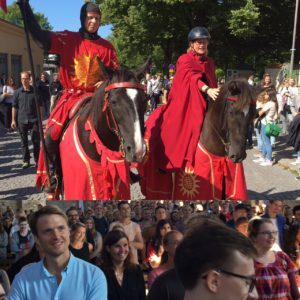 4 September 2017 / Vice-Chancellor’s Blog / Comments Off on It’s all happening in Uppsala! The semester is under way in earnest and our freshers have been properly welcomed to Campus Gotland and Uppsala. It’s always fun every year to welcome our new students, who come to us full of expectation from all over the world. We have received many visits this week. 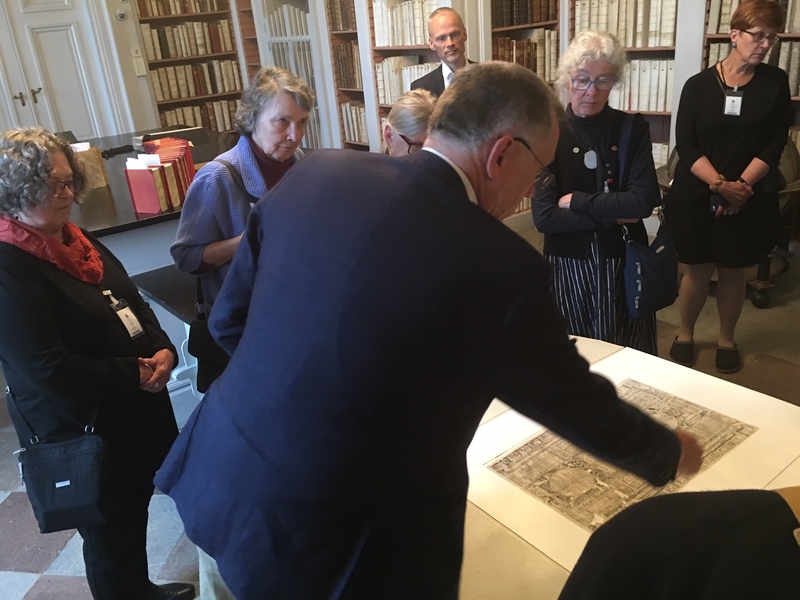 On Wednesday, Uppsala University was on the programme for the annual ambassadors’ week held by the Ministry for Foreign Affairs: ambassadors who will be posted all over the world had a chance to learn about what’s going on in Uppsala. Our University has benefited greatly from the help of Swedish ambassadors in many countries. We have received help with venues and contacts when organising alumni meetings. Seminars have been well attended thanks to targeted marketing by the embassies. Right now we’re preparing an event on 26 October in Washington DC. The purpose is to promote Swedish universities and show how world-class they are. The event also aims to maintain dialogue with US counterparts so as to foster long-term network-building. The target group includes American researchers and research funding actors as well as other stakeholders in research and higher education. This is a joint event with four other universities, the Swedish Research Council and the Embassy of Sweden in Washington. On Thursday we had a visit from Zhejiang Province in China, which has a twinning agreement with Uppsala. 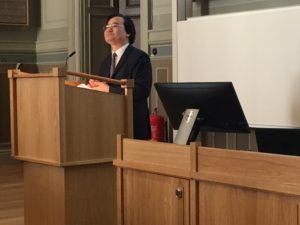 I took part in the lunch at Uppsala Castle, where the news of the proposed upgrade to a quadruple-track railway between Stockholm and Uppsala further raised our spirits. And on Friday, Vietnamese Minister of Education and Training Professor Phung visited Uppsala University at the head of a 70-strong delegation. Five MoUs were signed during the visit, with various universities. For some time now, we have had an office in Vietnam and Anna-Klara Lindeborg is Uppsala University’s representative on the ground to further promote cooperation and forge contacts. During the week, a group from the United States who are interested in runes made a tour of Uppland. I met the party at Carolina Rediviva, when Professor Henrik Williams guided us with enthusiasm among fantastic works about runes. As if this wasn’t enough, the Segerstedt Building was officially opened on Friday with a ceremony, fanfare and open house with guided tours for staff. On Culture Night, the building will be open to the general public. I broke the ground for the new building three years ago this October, and now it’s ready and opened. But the plans date all the way back to 2008. My hope is that this building will facilitate better cooperation in the University. 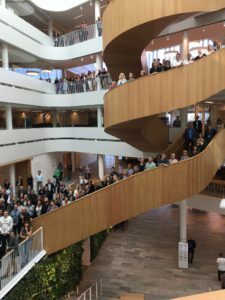 The administration must provide the best possible support for the core activities, and we intend this support to be efficient and effective, responsive and professional, in an open and welcoming building at the heart of the University. The administration’s new workplace has been named the Segerstedt Building. Torgny Torgnysson Segerstedt was an undergraduate and PhD student at Lund University, but became professor and later vice-chancellor at Uppsala University. Torgny Segerstedt dedicated his entire career to higher education and research. He ended his career at the time of the University’s 500th anniversary in 1977. His period as vice-chancellor coincided with an eventful and expansive time in the University’s history. I think it was excellent to name the building after him. Many thanks to all of you who have contributed in one way or another!